This is my first really successful large batch of knives that I have worked on process per process on all knives. I still had to break it up a bit at times. Otherwise, it just gets very daunting. 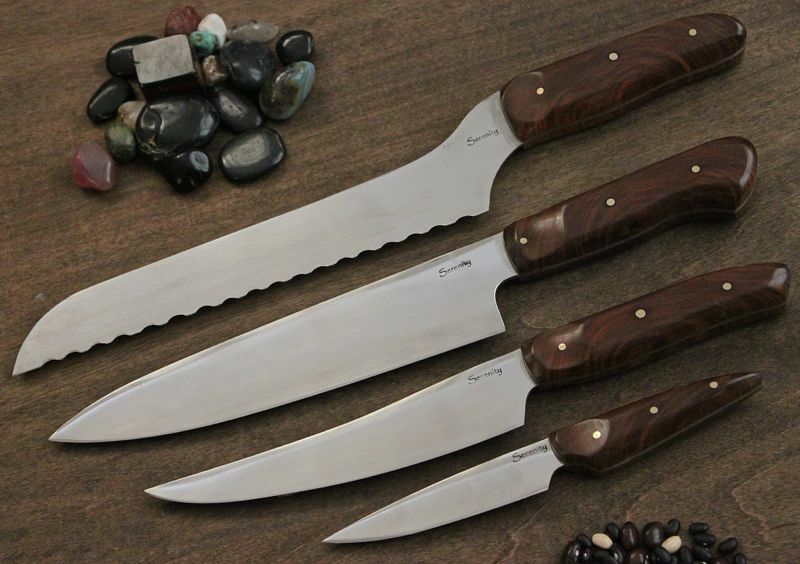 A set of kitchen knives, Bread Gyuto, Slicer or boning, and eviscerator paring knife, in Lignum Vitae and 1/8" brass pins. European Chef and Paring knife set, California Buckeye Burl with Dyed red amboyna burl interruption. 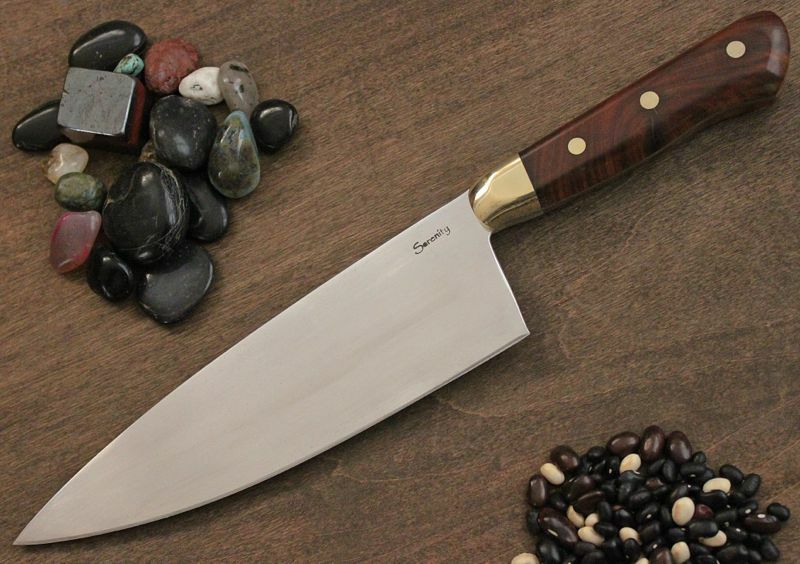 European Chef knife in Lignum Vitae and Brass Bolster. 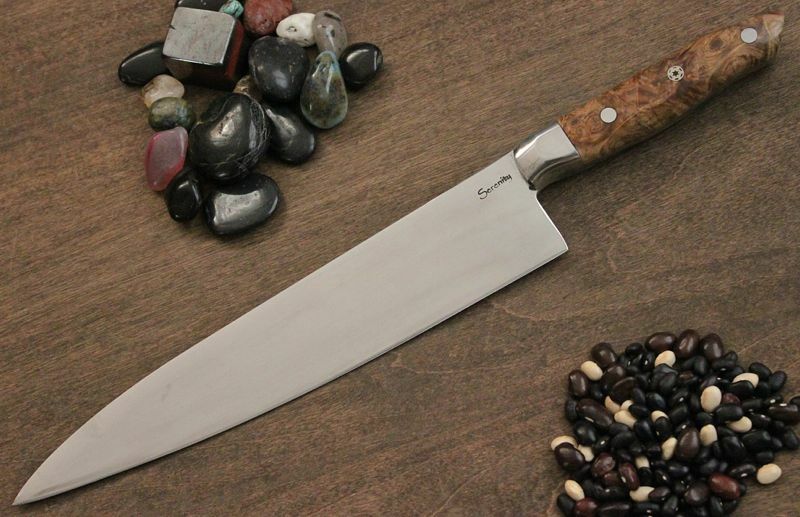 French Style Chef with 304 Stainless Bolster and Black Ash Burl handle. What we call the Custom Crazy Hunter in Cocobolo. 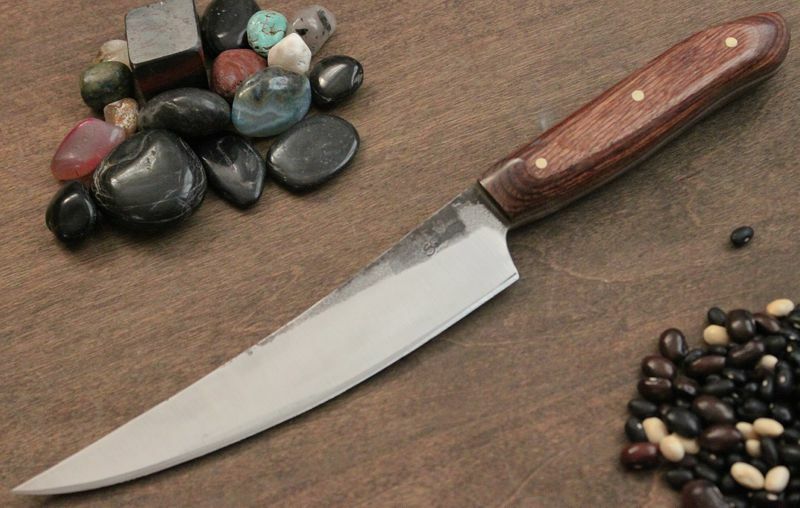 I finally finished the Landry's Iron Chef Companion knife. 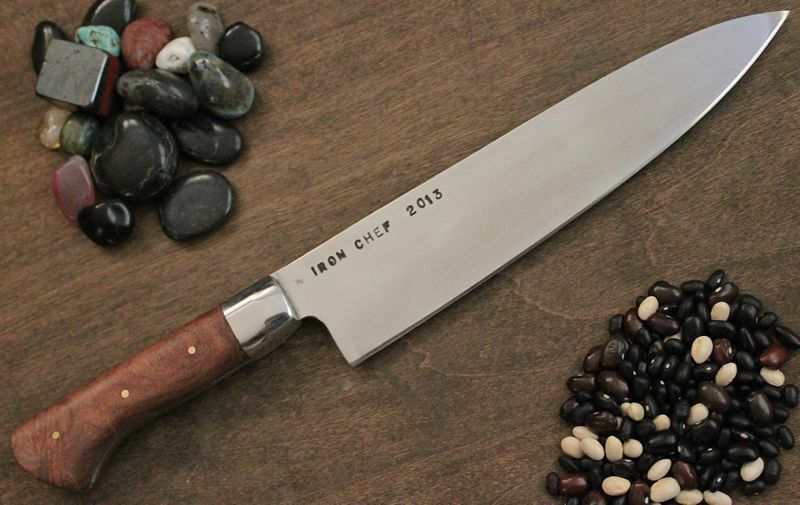 This is a copy of the knife Landry's gave away to the Chef that wins their throw down Competition. 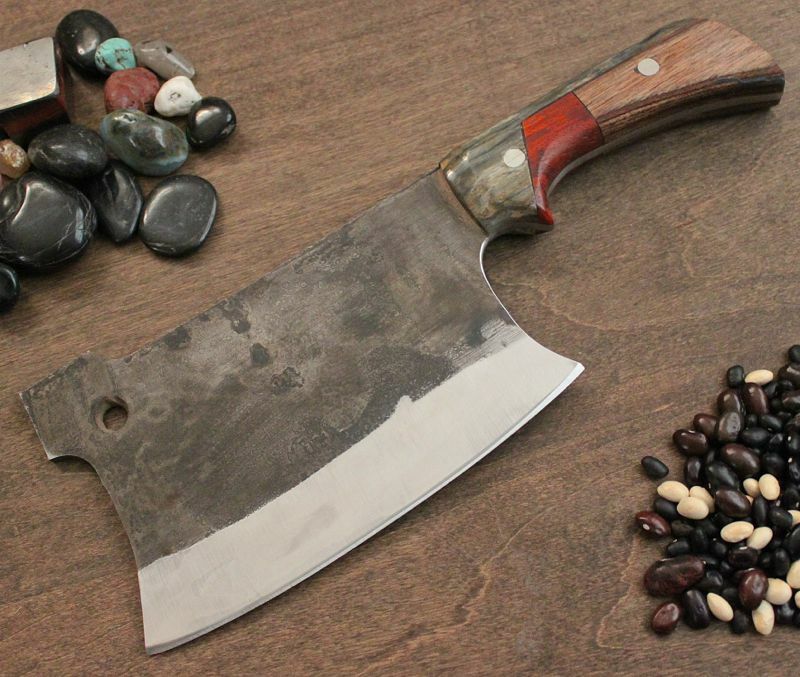 Cleaver with Lignum Vitae handle and 2 - 1/4" Nickel silver pins. This one is currently not spoken for. My wife's new cleaver, Exotic Giraffe bone bolster with a strip down the spine, blood wood inclusion with Dymondwood handle. 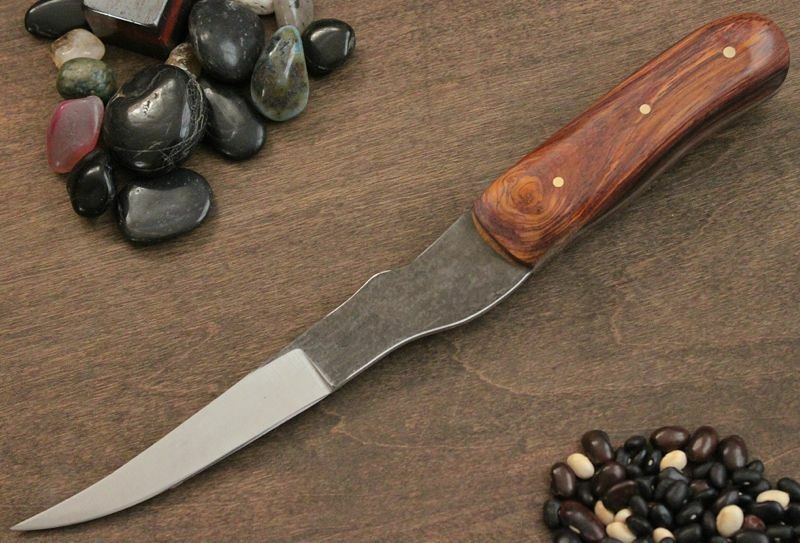 Traditional Boning knife in Dymondwood and 1/8" brass pins. Oyster knife in a new material Fauxcarta, it is 100% sustainable and manmade. 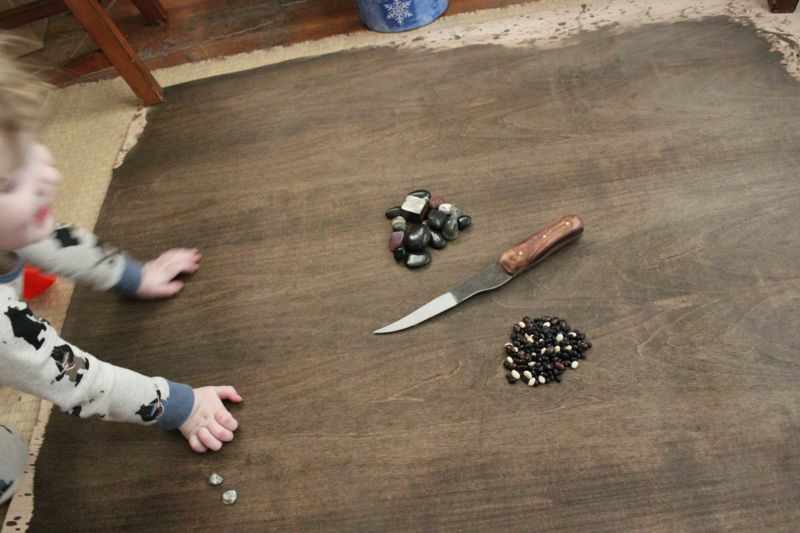 If you have kids, or have kids around, you know it takes at least 2 if not 4 or 5 times as long to do something with them underfoot. There will be much more joy, but it will take longer. 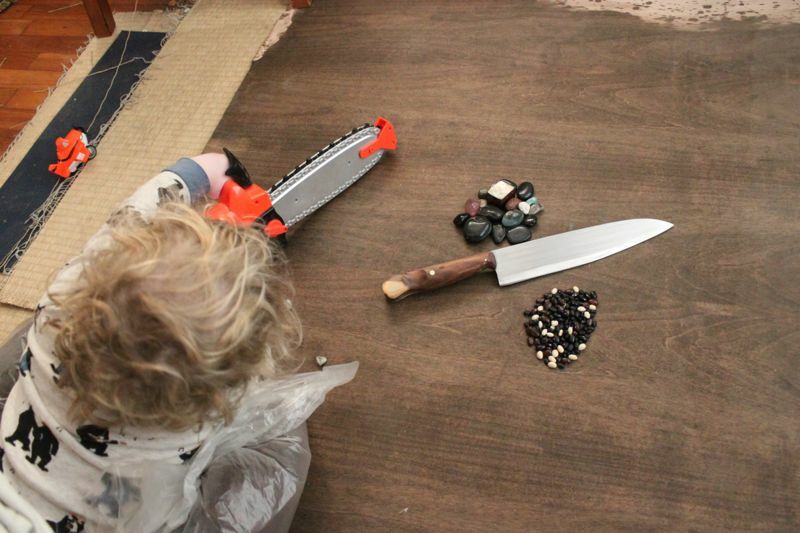 Here is Gabriel 'Helping' poppa take knife photos.